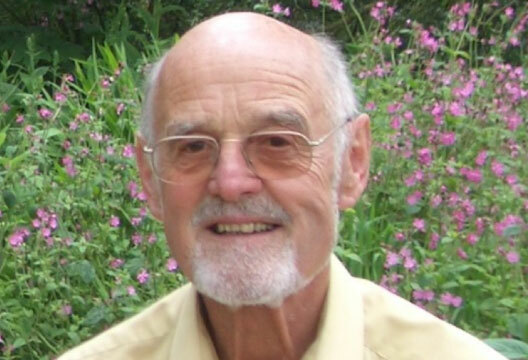 Jim Robinson, who died in March at the age of 84, was a highly regarded psychology lecturer, and generations of students who studied psychology in Cardiff between the 1960s and the 1990s will remember him with great affection. During his National Service in the 1950s, Jim was assigned to the Army Educational Corps and began teaching. On demob he enrolled for a degree in psychology at the university in his native Hull where the head of department was George Westby. After graduation, Jim undertook an M.Sc. sponsored by the local fisheries industry. One of the people he recruited for a Kipper Tasting Panel was a young woman named Liz who was to become his wife. The couple moved to South Wales where Jim worked in a Medical Research Council unit and completed a PhD on Blood Pressure and Personality which was examined by Hans Eysenck in 1961. The following year, George Westby was asked to set up a Psychology Department in University College Cardiff and he recruited Jim and one other lecturer to create what has since evolved into a leading and highly-acclaimed School of Psychology. Jim taught many aspects of psychology, but specialized in perception and research methods. His 1972 book “Visual Illusions” brought him international attention and fostered professional relationships and friendships (particularly with Japanese psychologists) that spanned several decades. He also maintained his interest in health psychology, supervising several related PhD projects and conducting research on the measurement and control of pain. Jim was always highly student-focussed and took an active pastoral role with students experiencing difficulties. He also helped students to celebrate their success, for over many years Jim and Liz hosted an annual party for students and staff on the day that the degree results were announced. He was also a great enthusiast for the annual conference held at Gregynog Hall, a mansion in mid-Wales that had been bequeathed to the University of Wales. The conference experience was enhanced by social activities, including ‘an entertainment’ with students and staff taking part in comedy sketches and musical performances. Jim was a leading contributor, playing his euphonium, appearing in a psychology-based adaptation of the famous “Four Yorkshiremen” sketch, and often ending the show in the guise of ‘El Magnifico’, with a magic routine owing more to Tommy Cooper than to Paul Daniels. Jim was for some years Chair of the Welsh Branch of the BPS and encouraged and supported students to present their undergraduate dissertations at the annual Welsh BPS student conference. Beyond psychology, and beyond Wales, he served for many years on civil service selection boards and on the Police Complaints Board. Jim was a man of many, many enthusiasms, among which were climbing, skiing, playing squash, Scottish dancing, fly-fishing, beekeeping and potholing. In his 80s he began to take singing lessons. He was very aware of what are now recognised as “green issues” and was active in this area as far back as the 1970s (at which time he designed, built and installed solar panels that are still in use). Jim was by nature a gentle man, lively, amusing and engaged, and he was an inspiration to generations of students. Teachers and lecturers have a special ‘reach’ – they have the opportunity to influence many young people. Jim was well aware of this, and he used his influence to great and benevolent effect.